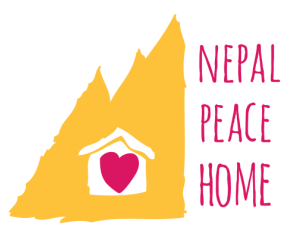 Nepal Peace Home has been in dire need of a clean water source for over a year. In March, Nepal Peace Home Director, Saroj Khanal, along with a band of local volunteers, leaders, and community members, installed a water pump that is located directly at the children’s center! In previous months, the children, staff, and volunteers had to trek to the area’s only working water pump, which was often broken. When the pump was in working order, this walk often took place in the dark and while carrying heavy buckets of water to be shared among all members of the center. Although this pump is a great success, it is a quick fix to a larger problem that effects the entire community. There has been a water scarcity problem for many years in Sukhepokhari, the neighborhood where Nepal Peace Home sits. "Sukhepokhari" literally means "dried pond." The water table is particularly low in only this small area, which affects roughly 50 families. The conditions continue to worsen; for months in a row, no water will come from the water pumps. If nothing is done, many people will be without a clean water source. Twenty years ago, 30 families gave $20 each to have a deep well dug for irrigation purposes. It was unsuccessful because there wasn't enough water to irrigate the entire village, nor a strong enough pump to distribute the water. The well, though, still exists. We need your help to fund the installation of an electric pump powerful enough to provide water for the entire village, and pipes to distribute water to each home. This project would not only serve the children, but the entire community. If built as planned, this water system would provide enough water for 100-200 houses for 20 years. Community members have been asked to contribute half of the funds collectively. Each family has been asked to contribute $150. They have the option to pay over time, of course - $150 is a lot of rupees! One of Saroj's local friends, Rajun Dhai, has already donated $500 toward the project! 1. Generator ($5,000) - This would allow water to be pumped up and out near all homes in the village. It would run for two hours in the morning and two hours in the evening. 2. Transformer (cost unknown) - This would replace the generator. This machine provides constant energy without gas fuel. It is preferable but likely much more expensive. 3. Pipes - To distribute the water. The plan is to build seven public water taps in communal locations. *Cost estimates come from a professional technical advisor/engineer. A detailed list of items and costs is available upon request.